Please say a prayer for our friend Jimmy, who is recovering from rotator cuff surgery. He spent a week in the hospital and a week in a nursing home, but is up and about now and doing well so far. 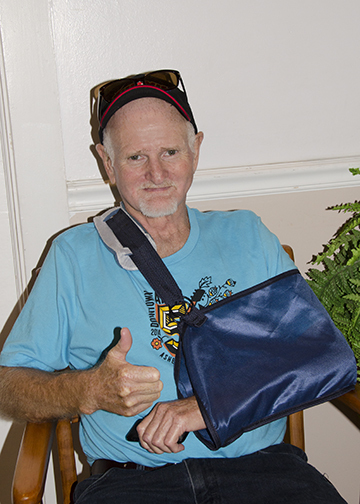 Jimmy, a sweet man who may be a tad shy, says there’s only one problem — when this one heals, he will need to get the other side repaired too!